I hope you all had a happy and safe 4th of July Holiday! My 4th was wonderful, spent with my family, eating lots of barbeque, and watching fireworks over the lake! Thanks for asking! Last week, in preparation for the big holiday I hosted a barbeque here on Kitchen Concoctions. And while the big patriotic holiday is over we still have many, many weeks of valuable grilling weather. So in case you missed it, here is a round up of all those great grilling recipes. 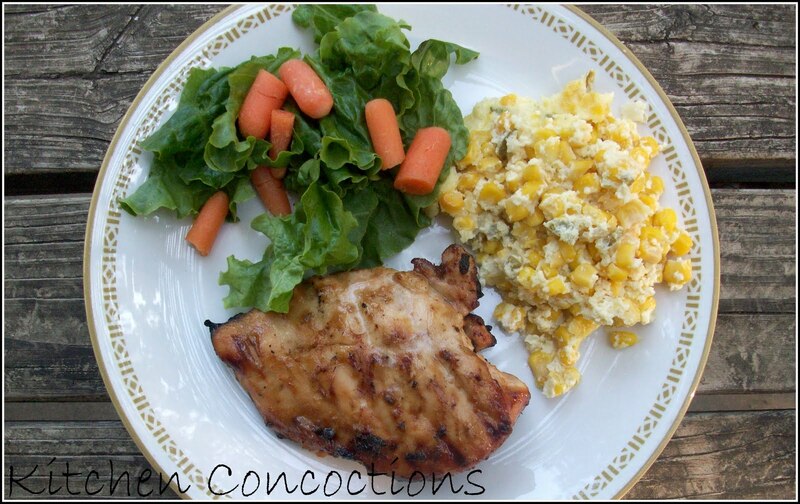 This Honey Mustard Grilled Chicken was so easy, full of flavor and juicy. With this recipe I also shared some grilling safety tips (because Momma always said safety first). Summer isn’t summer without S’mores! 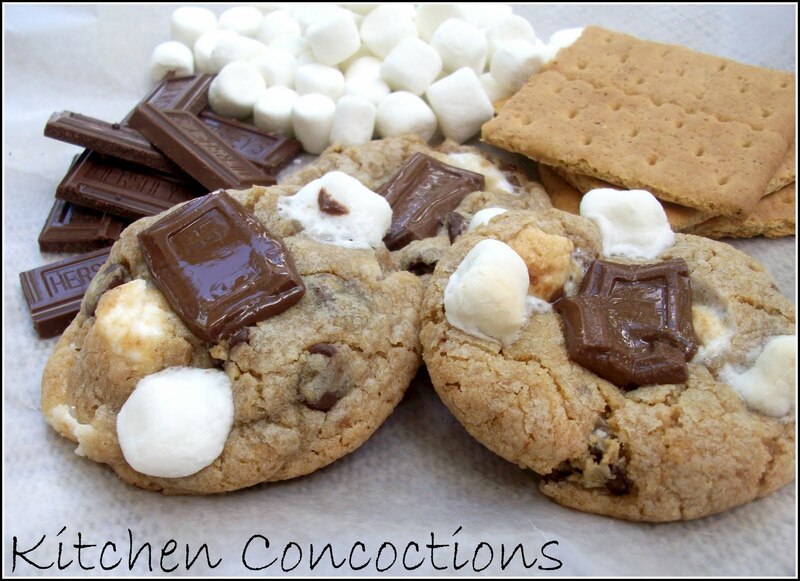 These S’more Cookies were freakin’ amazing. Make. Them. NOW! Burgers and grilling go hand in hand. 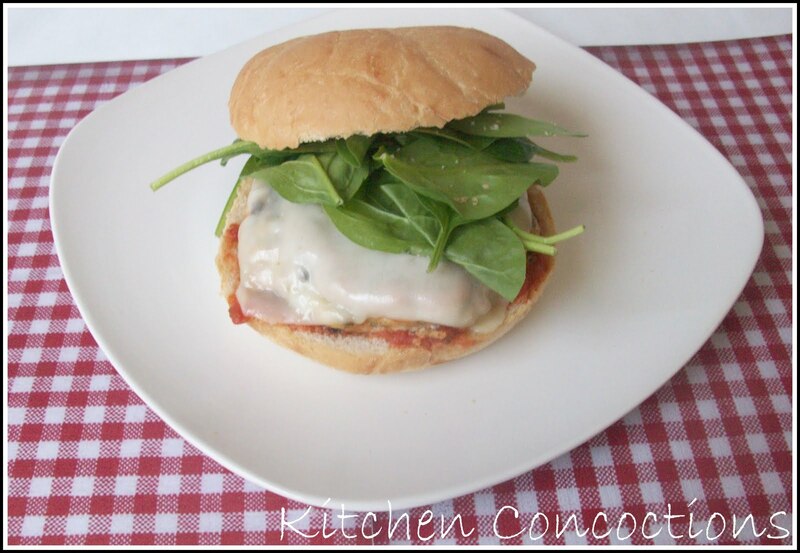 Next time you are craving a burger this summer, try this version: Chicken Parmesan Burgers, classic flavors with a new summer twist. Oh and in case you were wondering how to throw a budget friendly barbeque this summer, then read the corresponding article. Besides baseball, I think grilling out is one of America’s favorite past times. 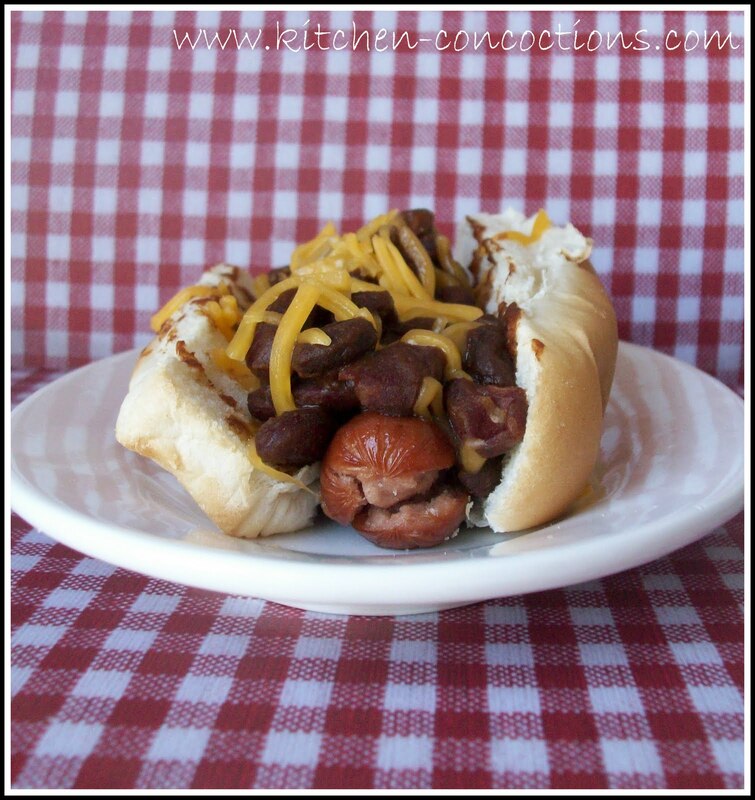 That’s why these All American BBQ Chili Dogs were perfect to share while giving a little history lesson about some popular All American foods. And last but not least, I had intended on featuring a red, white, and blue dessert to bring to a 4th of July BBQ but couldn’t choose, so better yet I did a round up of patriotic desserts, that could not only be made on Independence Day, but also Memorial Day, Veterans Day, Flag Day, or any day ending in “Y”! Haha!! 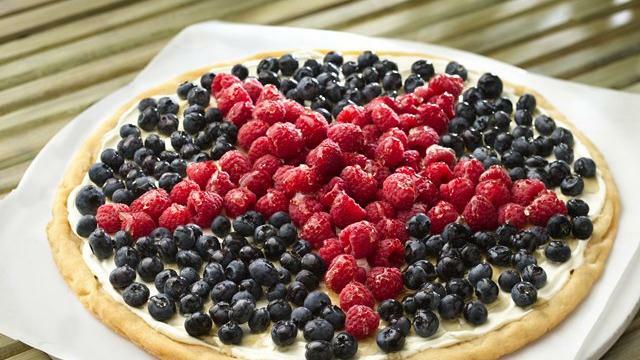 « Fourth of July Foodie Fun! Thanks for doing a roundup! I love being able to see everything in one place! YUM!